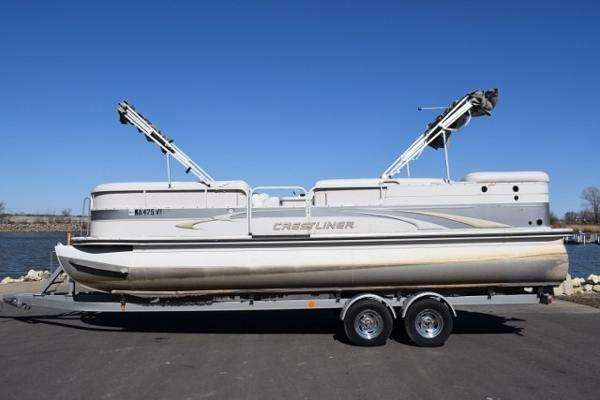 2005 Crestliner 2685 LSI 2005 Crestliner 2685 LSI, Mercruiser 4.3L motor, 2005 Prestige trailer. This boat is equipped with docking lights, gas grill, porta pottie, reclining captains chair, dual bimini tops, and more! Come check this boat out! 2006 Crestliner CX 1870, 2006 Crestliner CXJ 1870 V bottom equipped with Mercury 90 hp 4 Stroke outboard motor and Minn Kota Edge 24 V trolling motor. 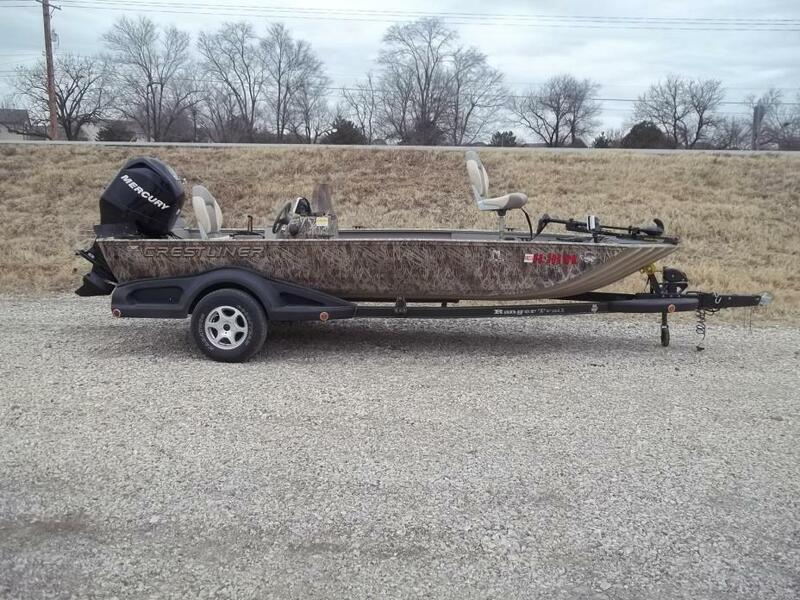 Boat includes auto fire extinguisher, livewell, hydraulic steering, battery charger, non skid floor, on board rod holders, Lowrance 107c at bow, Lowrance HDS 5 on dash, rear wave plates and single axle trailer with swing tongue and brakes. 5 person capacity. Please call before coming to view as our inventory changes location frequently.